Steve Jobs is known for his penchant for beautiful architecture, but his plans for a new Apple headquarters in Cupertino, California is are really out of this world. 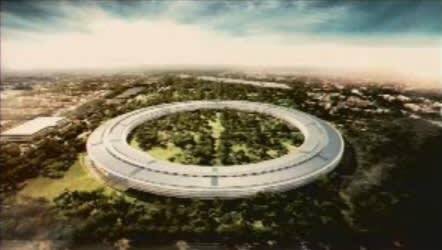 Described by Jobs himself as looking "a little like a spaceship landed" the building design is a huge cicular ring with a forrest-like courtyard forming the center. Jobs recently presented the plans before the Cupertino City Council for approval. In true Jobsian style, the famous orator said Apple was attempting to build "the best office building in the world." Where will they put the "reality distortion field?"